Eaton has expanded coverage of its Fuller Advantage series of 10-speed automated overdrive transmissions to include use in vocational applications. Initially launched in other applications in 2013, the Fuller Advantage now has been configured with features designed to improve vehicle control for vocational use. Fuller Advantage transmissions can be configured with optional Urge to Move, Creep Mode and Blended Pedal functionality for better low speed maneuverability in situations such as backing into a loading dock or moving around a construction site. 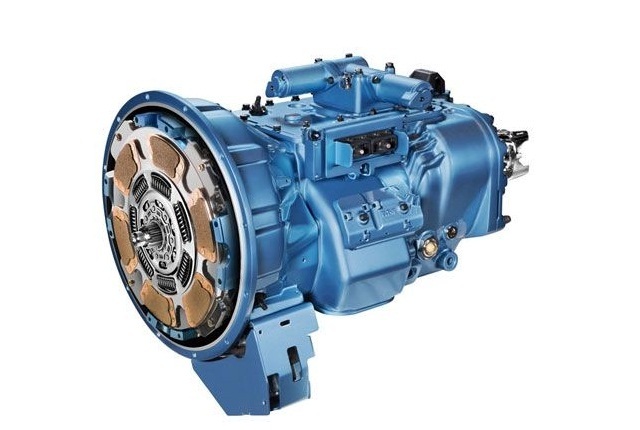 Eaton says Fuller Advantage transmissions offer many benefits compared to its UltraShift Plus automated manual, including reduced weight, increased efficiency and lower maintenance costs. Another key feature of the transmission is the Precision Lubrication system, which reduces oil churn energy losses found in traditional transmissions by 33%. With less heat being generated, Fuller Advantage transmissions do not require a transmission fluid cooler or the corresponding lines and fittings. As a result, less preventive maintenance is required, according to Eaton. Engine fans also cycle less, reducing horsepower demand.